Anybody can put together a couple of sentences that point to another site. Anybody can copy and paste from another source. Anybody can create a simple list post. But not everyone can tell a story with the words they write. No matter what business you are in, there is a story behind what you do. That’s what gives you personality. That’s what pulls potential clients in. If you can’t get that emotion down on paper, find someone who can. People read because they find interest. It may be something they need to learn. It may be something they find entertaining. Above all, they find it adds value in their lives. Always ask yourself before you hit the publish button if someone we’ll find real value in what you have written about. There are many ways to interact with your readers. I’ve done it in many ways. 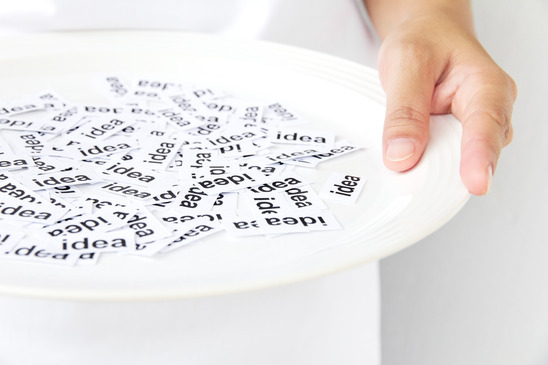 The key is to give people what they want – not something you are trying to force feed to them. 4. Why should they come back? What reason are you giving people to come back? What promises are you making? You should always tell people what you’ll be giving them if they sign up and follow you. Tell them both what kind of content you’ll be sharing, and its frequency. The more they know what you’re up to, the more they’ll learn to expect it. Which title do you think would get more traction: Why You Need Business Insurance or How To Lose $1 Million In 3 Seconds? The first one may have the right keywords, but it’s boring to your readers. The second grabs attention and commands someone to click and read. You can’t help it. When creating your titles, its always important to think both from the perspective of the search engines and your readers, and always lean more towards making your readers happy. While your blog is important; it’s the social piece that gets you noticed. A great post is your base. From there, you need to share it all over your circle of influence and have people notice what you do by the stories you share. Never think “I posted and they will come”. It doesn’t work that way. You have to constantly be working to get your message in front of your audience in a variety of ways. Today’s technology changes faster then most can keep up with. But the basic marketing skills will never die. Create your core marketing tools and connect with your audience in those ways. From there, keep building and adding new things as you find them. Its those resources and contacts you make that will help you grow overall.